Dr. Phil‘s car insurance might be going up soon, because he ran into a skateboarder in a crosswalk … and all signs point to the TV host being at fault. Law enforcement sources tell TMZ … Dr. Phil was driving out of a parking lot near Universal Studios Friday morning when he impatiently attempted to pass a van, but when he went around it he struck a man in his early 20s in a crosswalk, riding on his skateboard. We’re told Phil got out of his Mercedes to check on the guy. Cops say the skateboarder recognized Dr. Phil and told him he was fine … so they shook hands and Phil drove away. A witness nearby reported the incident, and when cops showed up to check on the skateboarder … he told them he was no longer fine — he said his shoulder and leg were hurting. Police called for an ambulance and paramedics checked him out and advised him to go to the hospital. The young man declined a ride in an ambulance to a hospital … telling them he’d get checked out on his own. LAPD took a traffic injury report and cops reviewed surveillance footage to determine fault … it doesn’t look good for the Doc. 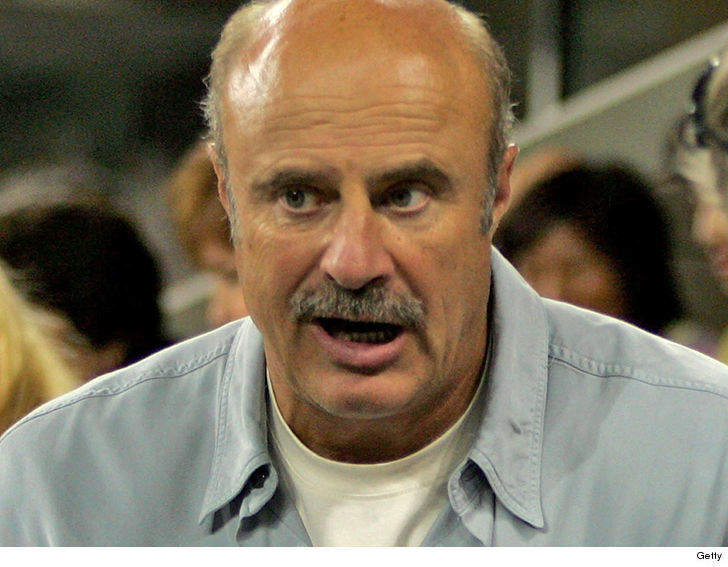 We reached out to Dr. Phil for comment … so far, no word back.